The Lord says, there is an eruption coming, the Lord says the ground is rumbling, the Lord says I’ve sent My Spirit, He is rumbling over the ground. The Lord says things are changing, things are moving, I am casting things to the side. The Lord says there is an eruption coming. The Lord says I have planted the seeds into the ground and those seeds are growing and I am causing them to grow. The Lord says there is nothing that is going to stop this eruption from coming. 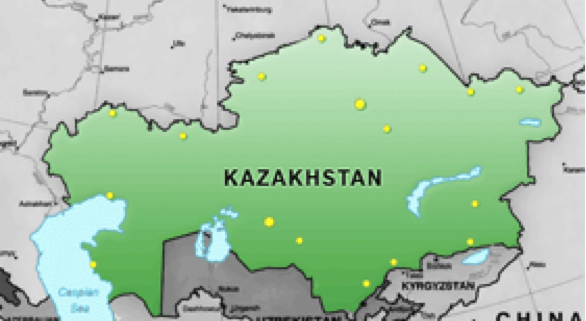 The Lord says when this erupts it is going to cover the whole ground of Kazakhstan. The Lord says nothing is going to stand in the path, nothing is going to stop it, nothing is going to hold it back. The Lord says that this rumbling has already started a long time ago. 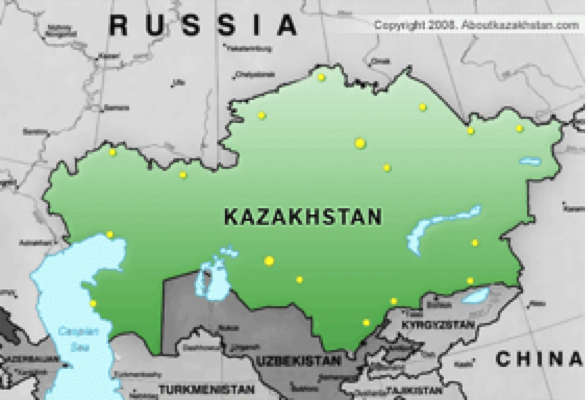 The Lord says there is voice over Kazakhstan, and it is divided from left to right, from north to south. And He has moved everything out of the way; everything that was laid on top of Kazakhstan, He is going to remove that out of the way. Because the Lord says that I have a special purpose, a special plan, and from the centre of Kazakhstan is going to rise up an eruption, that is going to brake over the heavens. And My Spirit is erupting from the ground up, and it is going to cover over and break forth, and there is nothing that is going to stop that. And the Lord says it is a new day for this nation, because there were some ancient prophetic words over this nation, they were planted into the soil, watered with the blood of the martyrs, and I now release these prophetic words and this nation will bow its knee. The Lord says I am folding up the past, and I am removing the present and I am making room for the future. The Lord says the harvest is coming, a great harvest. And a tremendous change will hit this nation and I will astonish My people with the speed with which this will happen. Place after place, region after region, city after city will fall and bow its knee and enter into the Kingdom. The Lord says there will be much resistance but it is futile to resist the Kingdom. So the Lord says, the blood of the martyrs and the centuries of the prayers of the saints are the reason why I am going to move in this nation. The Lord says I bring down all the plans of men, I will bring down all the political power that is raised against us. And I release My Spirit to bring liberty and freedom, and the harvest of new believers. So the Lord says, there will be an opposition. And there will be hardships, but there will be a great joy, and we do succeed, says the Lord. The Lord says I am going to raise this nation up as an example of what prayer and perseverance can accomplish. I am going to raise this nation up, and I am going to raise up within this nation a wave of teachers of My Word, a Now Word of the Lord, teachers who teach by revelation, teachers who speak prophetically, and these teachers will go from this nation to the nations. The Lord says, every nation has a purpose and the task of this nation is to sow the seed of My Word in every nation. And so I will raise up a generation of supernatural prophetic teachers, and they will go forth and plant seeds of My Word in every nation and then the harvest will come. So the Lord says, there is a huge change coming to us, and it will be like a volcanic eruption, it will happen unexpectedly, it will happen powerfully, it will happen suddenly, and it will change every aspect of the landscape. The Lord says, many churches will fall, those that a man has built, those who have bowed the knee to the devil, those who have bowed the knee to men, they will fall, they will crumble, they will be destroyed. But My people who are called by My Name, who have fasted and prayed, they will raise up strong, they will form the political leadership, the economic leadership, and the moral leadership of this nation. And the Lord says, this city will be the centre. A centre of revival, not as you understand revival, but as I understand revival. I will send My Spirit in a very powerful and special way, and the presence and the power will rest on this city and on My churches, and many will come, and they will be healed, they will be delivered, they will be set on fire, and they will carry the fire back to where they came and revival will spread, fires will be lit all over this nation and many other nations. But here is where it will begin. Men thought it would be Astana. But I have chosen Almaty. The Lord says, I have taken that what was despised and I put it in the place of honour. The Lord says, well done, good and faithful servants, you are ready, I am ready, and the Kingdom is ready. So be prepared.